The press release from BMW this morning acknowledged that BMW and Toyota have formalized their memorandum of understanding from June 2012. 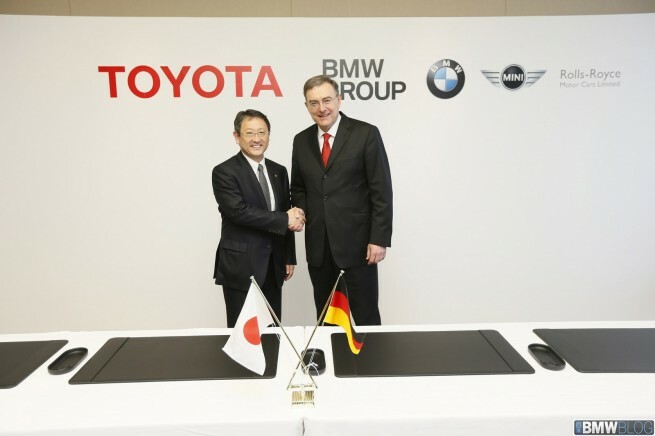 It highlights four areas where BMW and Toyota will cooperate. Those areas are fuel cell systems, sports vehicle, lightweight technology, and post-lithium battery technology. Before looking at these areas it should be noted that this is a joint effort across a fairly narrow field, there is no mention of the companies exchanging ownership stakes for instance. On the surface people may question why BMW and Toyota have teamed up, they seem to be such different companies and, with the exception of Lexus, are not competing over the same customer base. But they have one big thing in common. They are both, at heart, engineering driven companies. The word filter needed to view these four areas of cooperation is ‘sustainability’. The focus is on personal mobility – ‘green’ – as opposed to an IC engine, manual transmission, and hydraulic steering rack vision of mobility. applications. Their temperatures are not excessive, they’re fairly efficient, and while currently costly due to catalyst composition there is hope for the cost to come down as nano-technology becomes available on an industrial scale. Toyota also has a lot of good technology for the sequestration of hydrogen in a 70 MPa tank (700 bar, 10,152.6 psi – YIKES). BMW will be cooperating on this one. lead me to believe that it will take advantage of BMW’s expertise in resin transfer molding for a sub-structure and each company will skin the exterior and interior to taste. So co-drivers on this with RTM being a key enabler of separately styled but ‘equal’ vehicles. And while we’re talking about RTM, this is a strength of BMW. They literally have pulled off an extraordinary coup for a small company. They’ve brought a very transformative technology to fruition before anyone else in the industry has. (See: https://www.bmwblog.com/2011/08/01/bmw-i-the-trouser-press/ ) I believe BMW is definitely driving this. And that leaves us with the post-lithium battery technology. I believe both companies are disappointed with the weight and energy density of current battery technology. In order to get the performance (or range) they desire, new battery technology will need to become available. The press release mentions a lithium-air (Li-air) battery and that has the possibility of reducing weight and increasing energy density. But there’s still a lot of work to be done before Li-air is ready for production vehicles. processes, the TPS http://en.wikipedia.org/wiki/Toyota_Production_System ). And both have their gaze on the future of personal transportation, not its past.